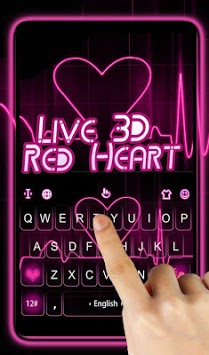 Free Live Red Heart keyboard theme. Beautify keyboard with animated background! This keyboard theme will make your phone look amazing! Try this keyboard and enjoy the smart typing now! Don’t miss this cool and fantasy keyboard. Download it for FREE now! 💕We believe that you will like this beautiful keyboard theme. 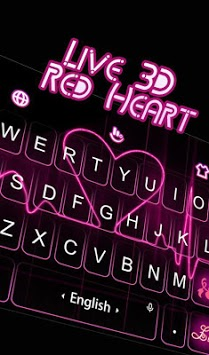 It decorates your keyboard with beautiful keyboard background and trendy keyboard buttons, which mean that it has the most attractive design for personalized lover. 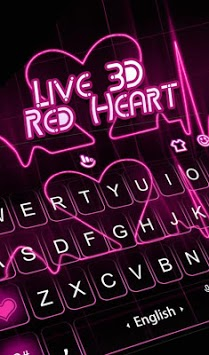 Download this fancy keyboard theme then you can type fun and enjoy relevant content seamlessly! Come and download colorful themes NOW! Looking forward to your feedback.